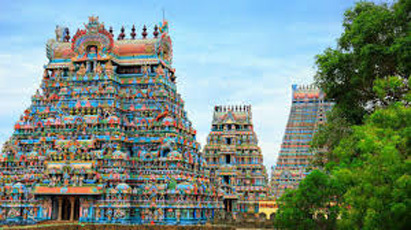 Upon arrival at Madurai, our tour representative assists you in smooth transfer to the hotel. Post check-in, relax for some time. 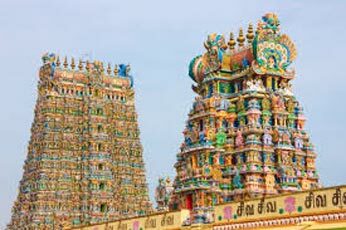 Later, visit the Meenakshi Temple-one of the biggest temple complexes in India. 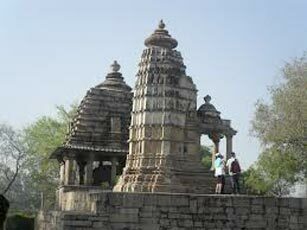 It is an ancient centre of worship as well as an art gallery of vast collections. Thereafter, enjoy a delicious lunch on direct payment basis. Later, return to the hotel for a comfortable overnight stay. Post an early morning breakfast, check out of the hotel and drive towards Rameshwaram. On arrival in Rameshwaram, check into the hotel. Later, relax for sometime before proceeding for a visit to Sri Ramanathaswamy temple. The temple has 22 holy springs which are believed to have medicinal properties. Post Darshan, visit the famous Hanuman temple. Enjoy a delicious lunch on direct payment basis. Later, return to the hotel for a comfortable overnight stay at the hotel in Rameshwaram. Following an early morning breakfast, check out of the hotel and continue your journey to Kanyakumari. Named after the goddess Parvati, Kanyakumari is one of her incarnations as Devi Kanya, who did a severe penance to obtain Lord Shiva as her companion. Upon arrival in Kanyakumari, check into the hotel and retire for the day. 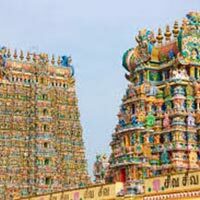 Later, set out to pay a visit to Sri Kumariamman temple. Post Darshan; visit the Vivekananda Rock Memorial and Tiruvalluvar statue. Later, enjoy boat ride around this beautiful spot. In the evening, return back to the hotel for a comfortable night stay. Post breakfast in the morning, check out of the hotel and head towards the Trivandrum Airport/Railway Station for onwards journey. Destinations Covered : Chennai, Kanchipuram, Madurai, Trichy, P..